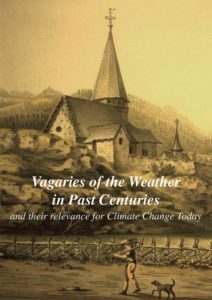 The German book «Wetterkapriolen in früheren Jahrhunderten» is now available in English under the title of «Vagaries of the Weather in Past Centuries». Back in 2007, Theodor Romang was invited to give a talk at a «Saaner Abesitz» – a series of talks by locals on their topic of expertise – on extreme weather conditions in the past. Based on the Mösching-Gander-Chronik, he showed the weather to be as extreme in the past as it is today. Romang expands this in his book and argues that extreme wheather conditions are not new. He takes this a step further to claim that global warming is not, or only marginally, manmade. Whether one agrees with Romang or not, the stories about the weather in the Saanenland in the course of the last centuries is an interesting read.